01. Eyelid skin and conjunctiva are elevated after outer corner is incised. 02. 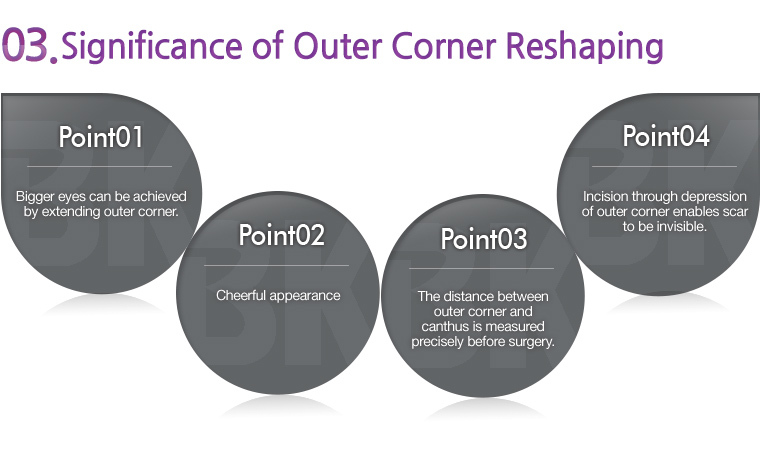 Reposition the outer corner depending on the degree of droopiness. 03. Incision is sutured along the inner surface of eyelids to hide scar. Natural appearance after 1-2 months Scar disappears after 3-4 months.